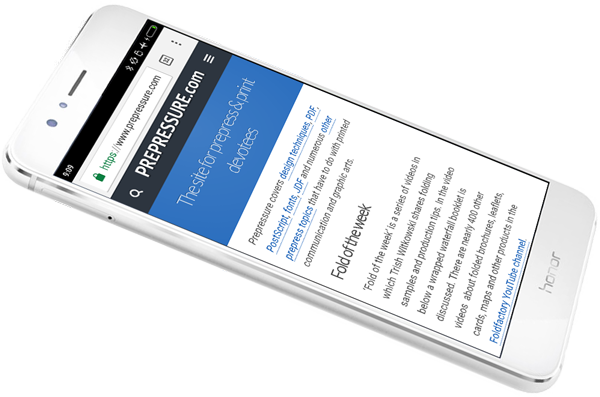 Prepressure.com is a web enabled notebook on all things graphic. It is created and maintained by Laurens Leurs. I studied Industrial Design but while working for an Apple dealer got interested in graphic arts. After joining Agfa, I became a customer support engineer and eventually moved to a pre-sales job – focusing mainly on prepress workflow and output systems. For a few years I worked on a publishing solution, which was great fun. Nowadays I am the product manager for Apogee StoreFront, a web-to-print solution, Apogee WebApproval, an online page collaboration tool and PrintSphere, a data sharing cloud service. 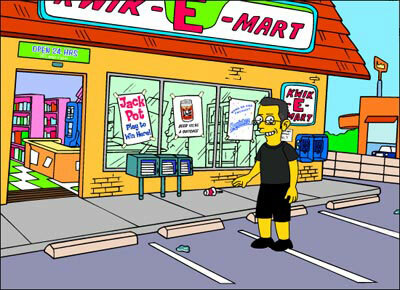 in The Simpsons, I’ll probably look like this. This site was started around 1997 as a kind of HTML exercise. It originally ran on a web server of the city of Antwerp. The very first pages were created using Claris Homepage, a very basic HTML editor. As a support engineer, I got daily calls about PostScript errors. The site became my database of everything I knew about this topic so it was aptly called the PostScript Panic Page. Around 3000 people visited it in 1998. After a few years, I switched to DreamWeaver and a spot on the servers of Belgacom, my internet provider. Being an early PDF fan, I added a big section about PDF to the site. 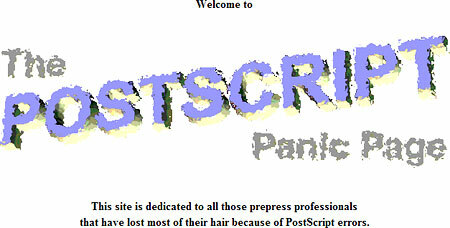 To reflect the change, the PostScript Panic Page became the Prepress Panic Page. In 2001 the number of yearly visitors had already increased to 40000. In 2001 I registered the prepressure.com domain name and moved to shared hosting. I’ve been happy with the service of ICDsoft ever since. In case you are curious: this site runs on an HP DL380 server somewhere near Boston. The above header was not used for very long as it was a bit too retro for my taste. By 2004 it had been replaced by a cartoon, once again with a reference to panic. The basic 3 column grid lasted for over 10 years. I did lose interest in the maintenance of Prepressure.com for a few years. As the editor of a support newsletter doing two similar jobs simply became too boring. My job description changed in 2007 so I decided to clean up the site while migrating the design to a database driven system, powered by WordPress. This move finally enabled me to have a site design in which visitors themselves can share their knowledge using the Comments function. The redesign initially drew fewer visitors but eventually Google learned to like the site again and started sending web traffic to it. In 2007 the site generated around 1.6 million page views. This gradually increased, topping out in 2011 with almost 2.5 million page views. Some 2011 and 2012 Google Panda updates hit prepressure.com pretty badly, with page visits dropping almost 80%. Content theft worsened the problem and the Comments function gradually turned into a target for shameless product promotion by web marketers. All of this got me so demotivated that I hardly worked on the site during most of 2013 and 2014. Fortunately the May 2014 Panda update lead to a doubling of the number of page views. The resulting increase in advertising revenue once again covered the hosting costs. That motivated me to work a bit more on the site. Unfortunately most efforts go into reworking and updating existing pages, without much time left to add new content. I did start expanding the section on printing techniques though. In 2015 two million pages were viewed on this site. Since an increasing number of the visitors used a tablet or phone, a mobile responsive plug-in was added in 2016. My intent is to implement a truly responsive design sometime in 2017. Thanks for visiting & have fun! Legal disclaimer: The author of this website cannot be held responsible for any damage inflicted by the use of the information provided on this website. This site is beerware: if the information provided is of some use to you, you are obliged to offer the author a Duvel or other Belgian style beer whenever you encounter him and he is in the mood for a drink. The author freely admits that he is often in the mood for a good beer. No animals were hurt during the creation of this site (yet). The ads on this site are not used to adapt your interest profile – your privacy is as important as mine.